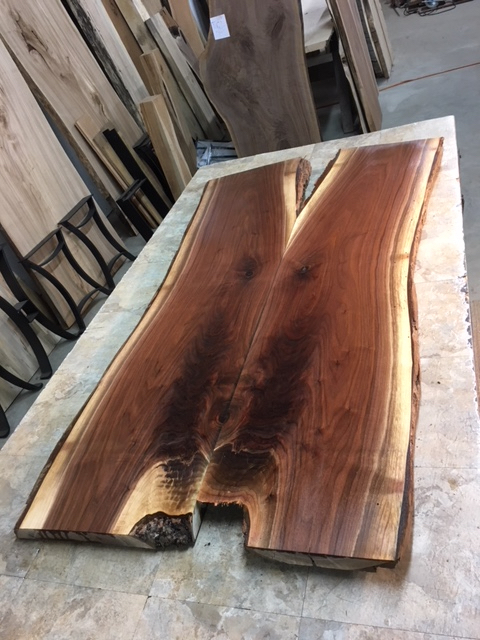 Live Edge walnut matched conference table slabs. 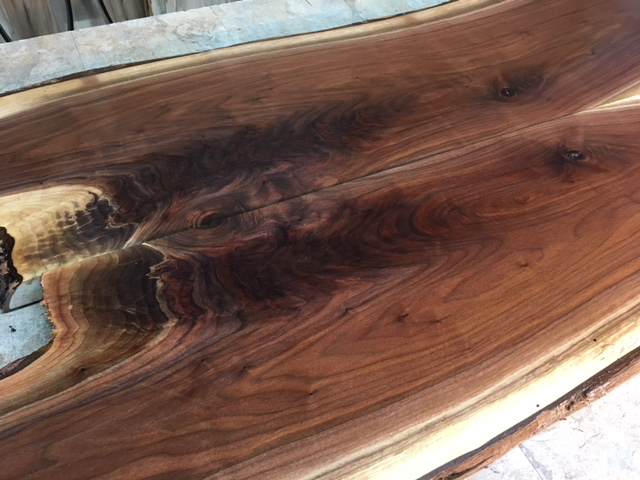 walnut bar top wood. 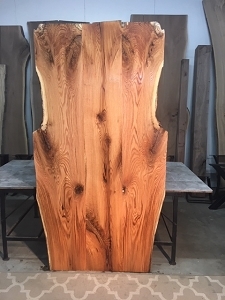 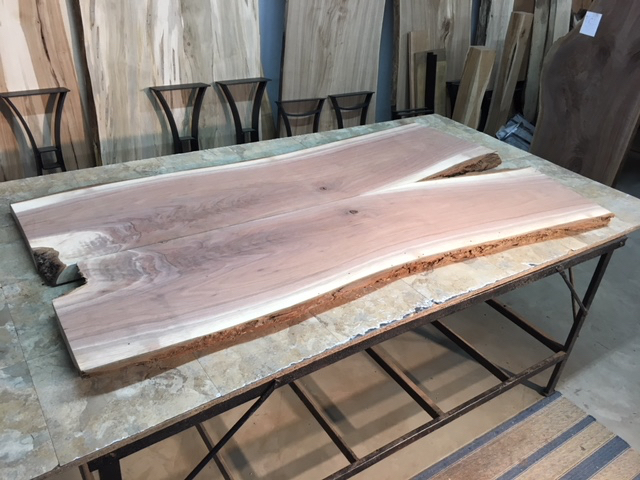 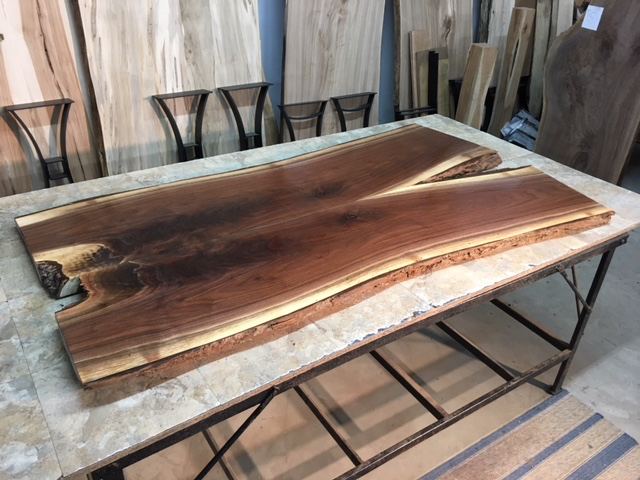 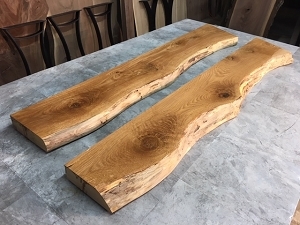 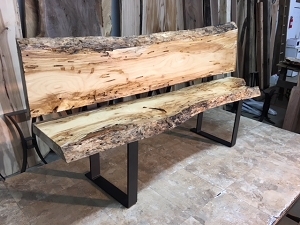 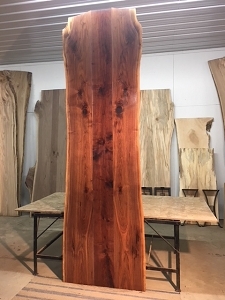 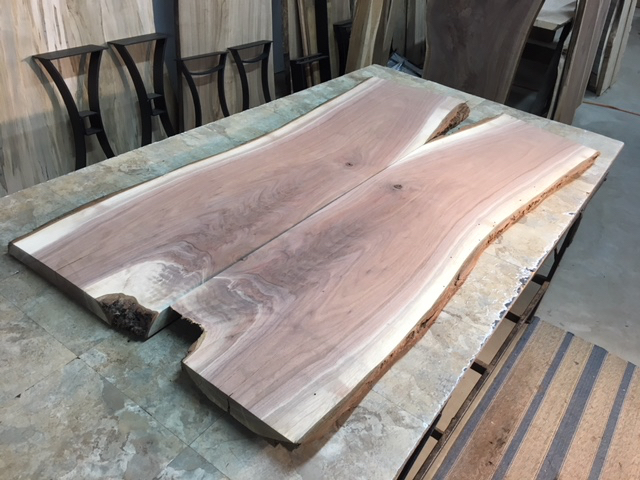 Ohio Woodlands sells live edge walnut bar top lumber. 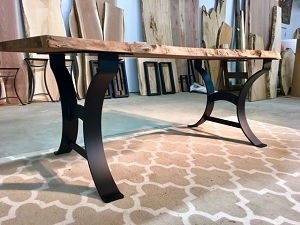 Jared Coldwell. 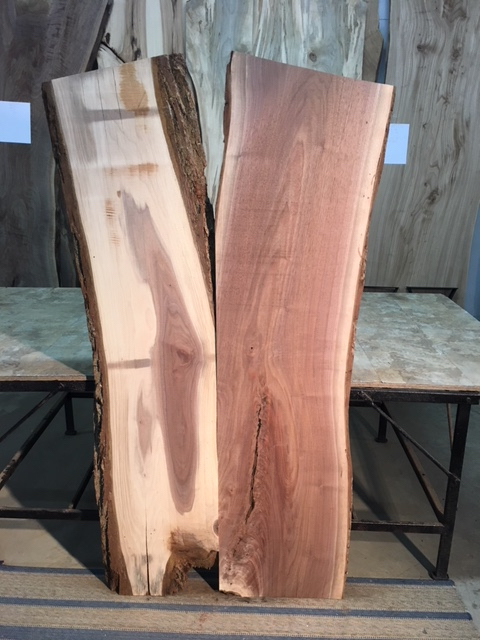 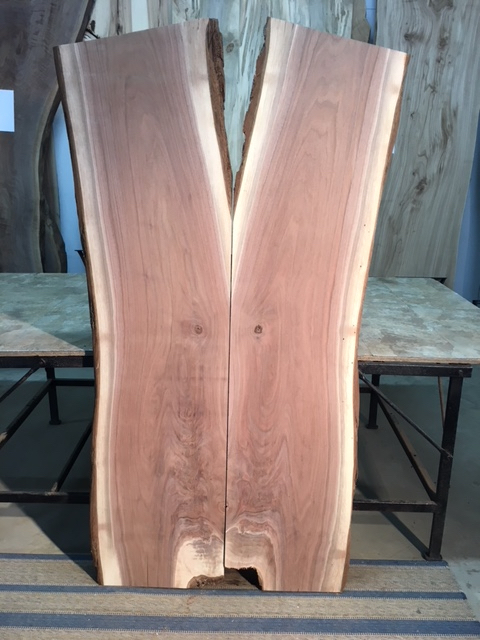 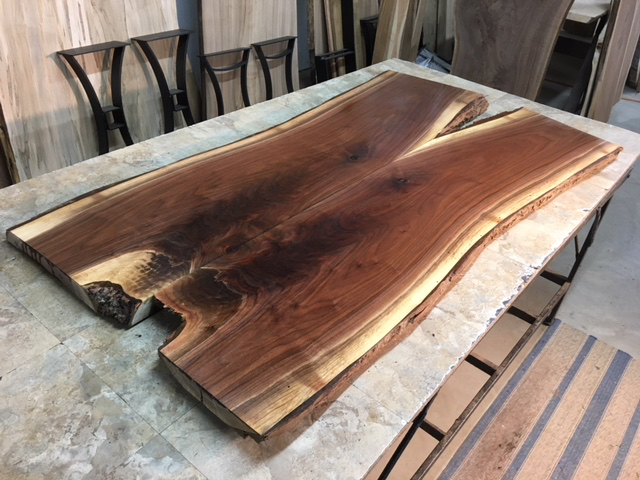 BEAUTIFUL MATCHED WALNUT TABLE SLABS!! 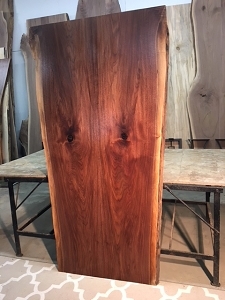 GREAT CHARACTER! 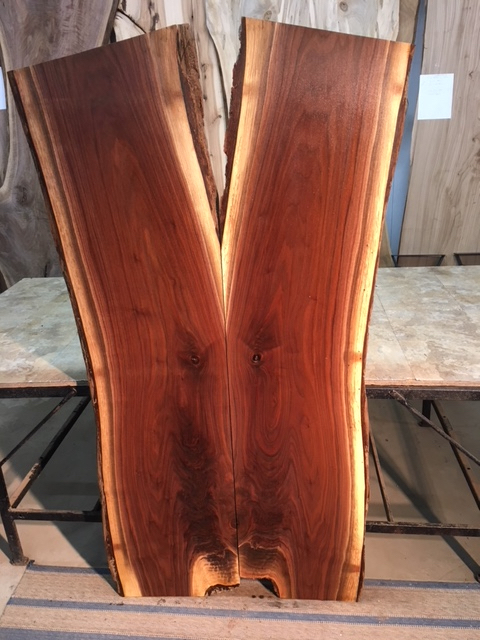 *PRICE IS FOR BOTH SLABS* Needs Finish Sanded. 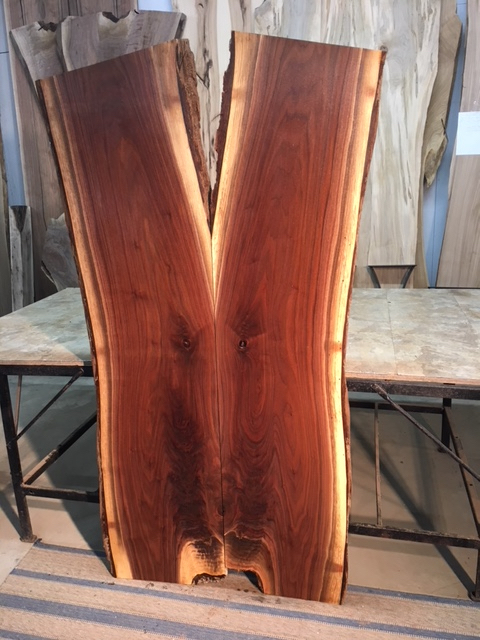 Beautiful Matching Character! 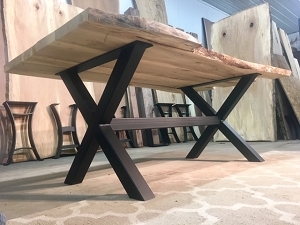 BE SURE TO CHECK THE IMAGE GALLERY ABOVE FOR MORE IMAGES! 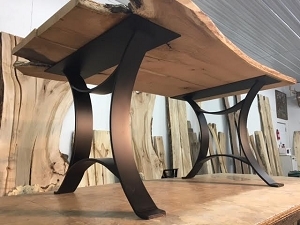 VERY UNIQUE. 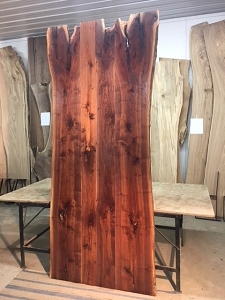 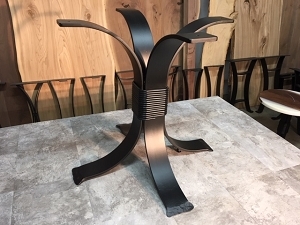 LIVE EDGE FREE FORM. 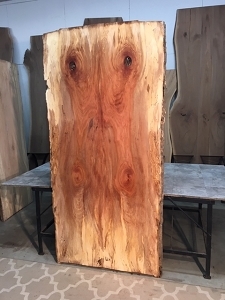 FACE-SIDE COATED WITH WATER. 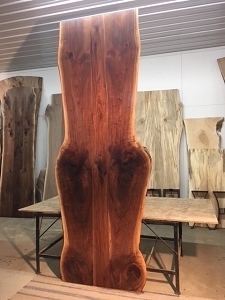 BACK-SIDE IMAGE WITH NO WATER IMAGE ALSO PRESENT.